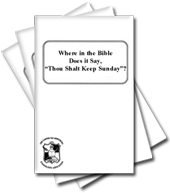 Where in the Bible Does it Say, "Thou Shalt Keep Sunday"? Services will be held every day with video sermons by the Ministry of the Intercontinental Church of God. In 2019 the Intercontinental Church of God (Australia) will be observing the Feast of Tabernacles from 14-21 October at Nelson Bay, on Port Stephens, New South Wales. The venue is the Nelson Bay Bowling and Recreation Club, Stockton Street, Nelson Bay, which is directly in front of the Landmark Resort, our previous venue over a number of years. Those attending the Feast at Nelson Bay can book accommodation at the Landmark if they wish, still just a short walk to the new venue. However, there are many other accommodation options through the various holiday rental agencies in the area. Some of those are listed below. Nelson Bay is the tourist hub of the Port Stephens area, boasting a substantial shopping precinct and a major marina at which various ferry and tourist boat operations are based. Attractions at this year's Feast include the opportunity to take cruises for whale watching, dolphin watching or just admiring the scenery. There are fine dining restaurants and Hunter Valley wineries to visit not far away and even local wineries just a short drive. As well there are many other activities available, such as golfing, beachcombing, bushwalking, ten pin bowling and, of course, shopping. There is a local zoo as well as an aquarium where you can snorkel or wade with rays, sharks and gropers. Great for the kids! And lots more beside. The Feast of Tabernacles is just that, a time to feast, rejoice and celebrate God's Feast. We look forward to seeing everyone there, welcoming overseas visitors and those new to the Truth of God. For those who are new to the truth of God's Holy Days and the Feast of Tabernacles in particular there are a number of helpful audio sermons and booklets available. Please feel free to request the audio sermon "The First Great Edict" on tape or CD or DVD or see it on the Australian GTAEA website (www.gtaaustralia.org.au) and the booklets " How Seasonal Holy Days Reveal God's Plan " and " Why God Commands Our Presence At His Feast ". Both booklets are on the main website, www.garnertedarmstrong.org . Please advise your intention to attend to help us with planning. Nelson Bay is a township of the Port Stephens Local Government Area in the Hunter Region of New South Wales, Australia. It is located on a bay of the same name on the southern shore of Port Stephens about 60 kilometres (37 mi) by road north-east of Newcastle, its nearest rail link. Nelson Bay is about a three-hour drive north of Sydney. Nelson Bay has many amenities that make a stay in the area very enjoyable including a substantial shopping centre that recently added a large, modern, national branded supermarket. Local Holiday Real Estate agents are often the best means of securing affordable accommodation for the eight days of the Feast and two of the major local agents are listed below. How Is This Work Supported? The activities of the Intercontinental Church of God are paid for by tithes, offerings and donations freely given by Christians and co-workers who are dedicated to preaching the gospel according to Jesus Christ.